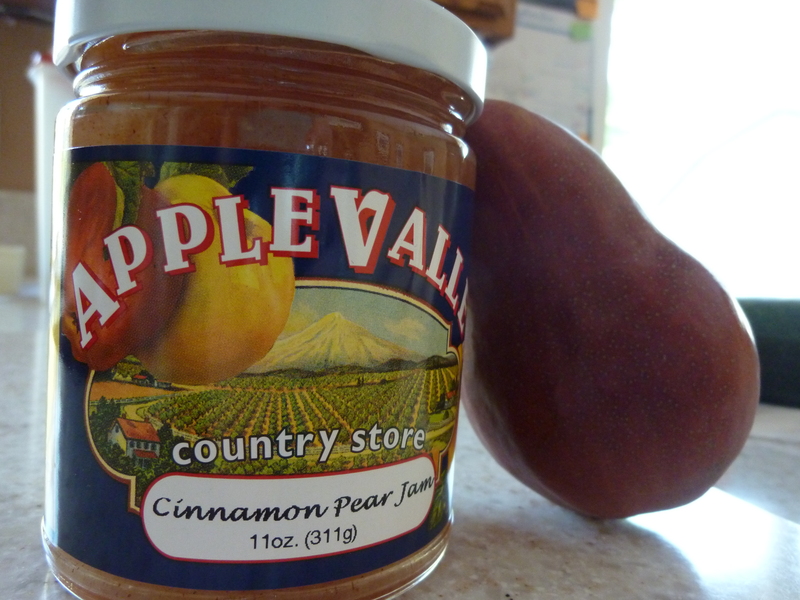 Last week I bought a little jar of pumpkin butter. 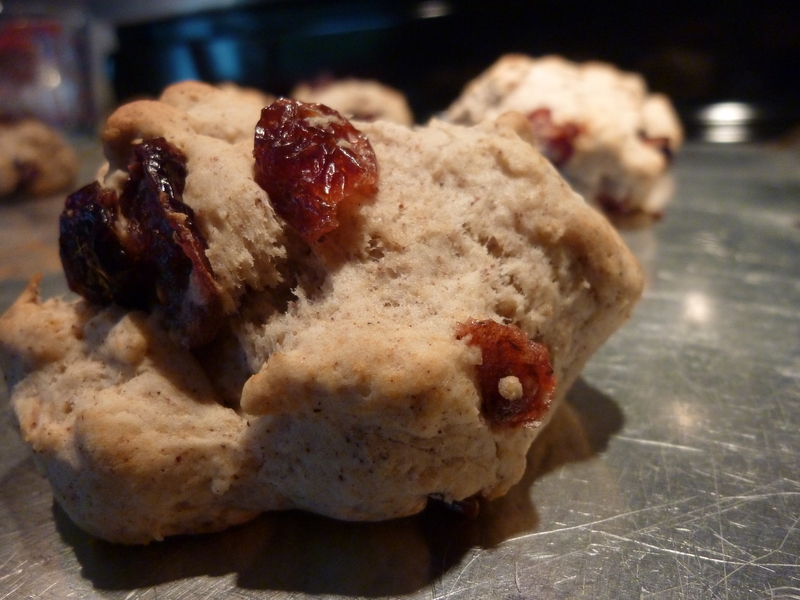 And then decided that I didn’t really have much to spread it on, hence the cinnamon cranberry biscuits. I found this really, really easy biscuit recipe while searching for recipes that included pumpkin butter in or spread on them. They turned out fantastic and I could make them literally in less than half an hour. Extra bonus! It is a very simple recipe and you could spread any kind of jam, jelly, butter, whatever you choose. 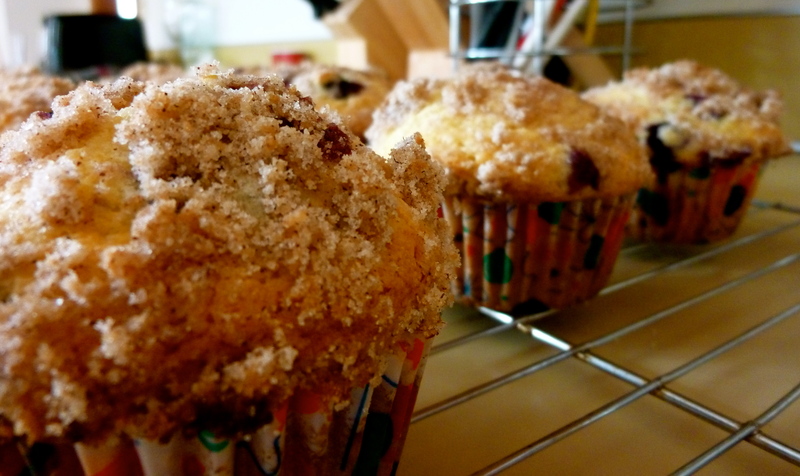 They have a wonderful taste of cinnamon and then the sweetness of the cranberries just adds that extra kick. 2. In a mixing bowl, combine all the ingredients and stir until moistened. 3. Form dough into golf ball sized balls and place on a baking sheet. 5. 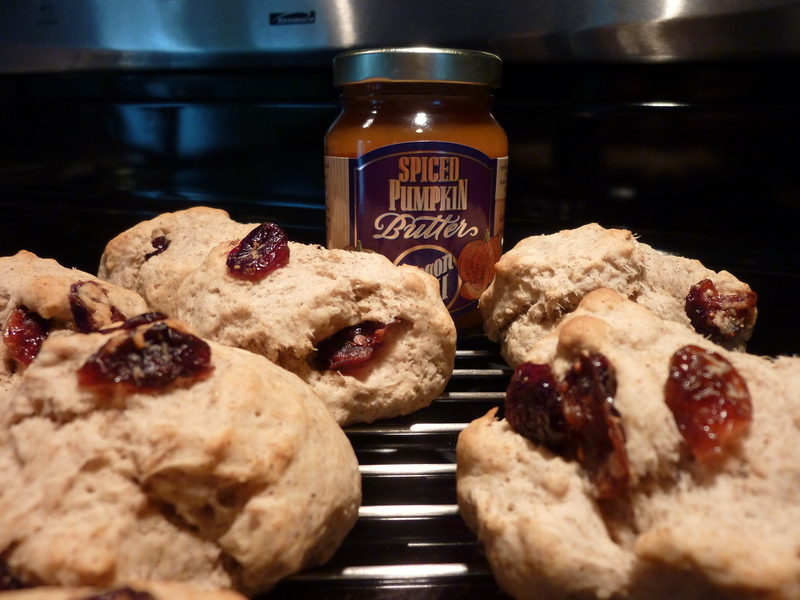 Enjoy with some pumpkin butter or whatever your heart desires! I absolutely love October, it’s one of the best months out of the entire year and not just because of the beautiful autumn leaves, those crisp cold sunny days, and Halloween(!!! ), but because (drumroll please) it is now socially acceptable to eat and/or drink anything pumpkin flavored. Wohoo! These are called pumpkin poppers and be careful because you’ll be popping these into your mouth consistently. 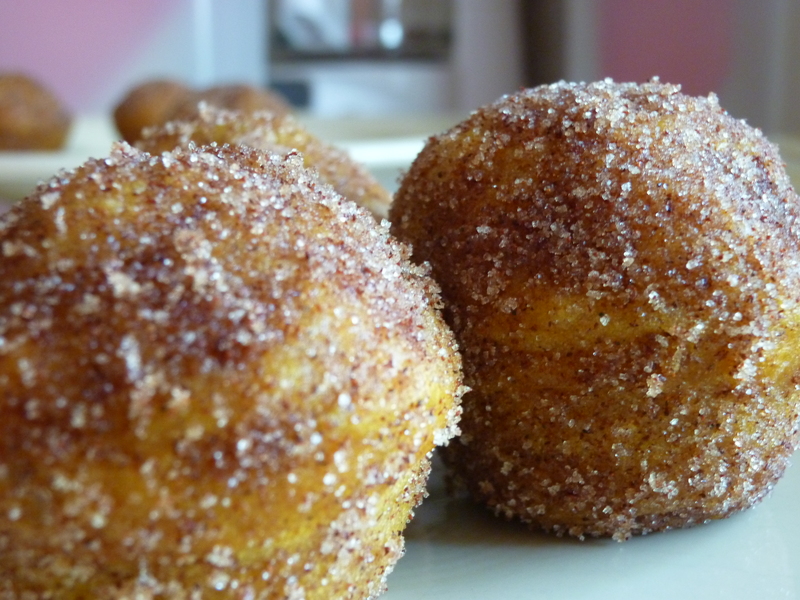 They basically taste like a cinnamon sugar donut hole, but even better because you get that little kick of pumpkin flavor. 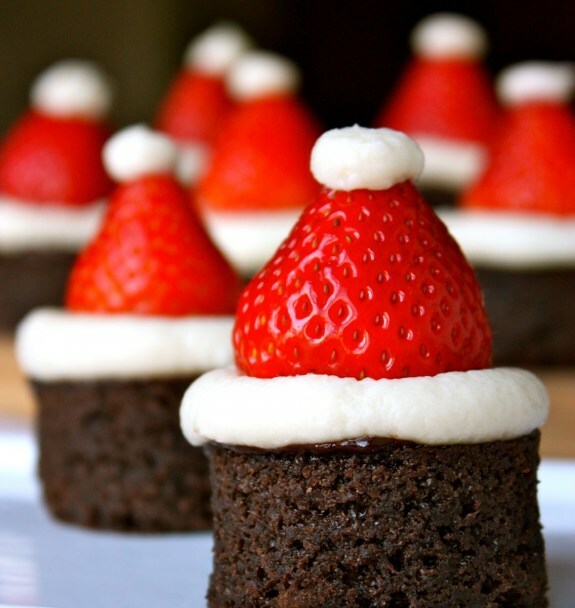 Not only are they a very convenient small size, they also make great snacks or can be a main dessert if you wish! I happened to bring these to a fall themed dinner and they went over spectacularly, but the next day they tasted almost better as little snacks for a nice 7.5 mile hike I took with my best friend. Have I mentioned how much I love fall and October? You’ll be a believer once you make these pumpkin poppers though! 1. Preheat oven to 350 degrees F. and spray mini muffin tins with non-stick cooking spray. 2. Combine flour, baking soda, salt, and spices in a bowl and whisk until combined. 3. In another bowl, mix oil, brown sugar, egg, vanilla, pumpkin, and milk. Pour in flour mixture and mix until combined. 4. Fill mini muffin tins until almost full and bake 10-12 minutes on 350 degrees F.
For more pumpkin recipes, check out my delicious pumpkin cookies here! Well, it is that time of year again. The time of the year where pears come into season. 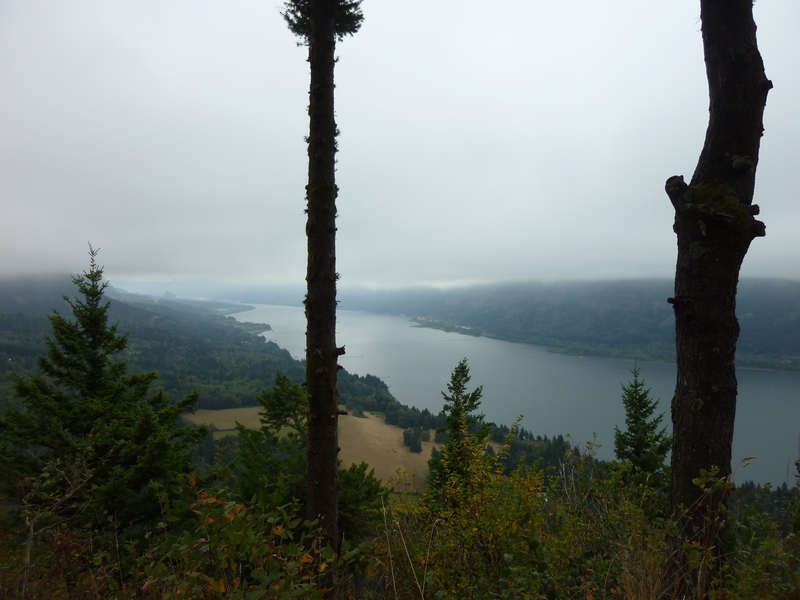 And nestled among all the magnificent amounts of pears is a little town along the Columbia Gorge called Hood River. It’s about an hour drive east of Portland, but it is definitely worth the time spent getting there. 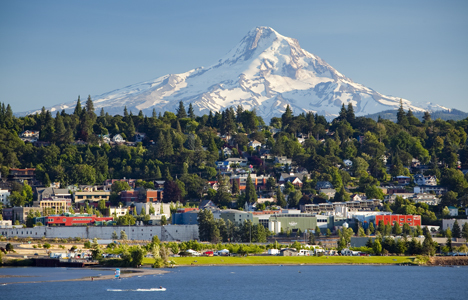 Hood River is known for many things: wind surfing on the Columbia and other water sports, fun boutiques and creatively named coffee shops, but also their outstanding farms on the outskirts of town. Every year during pear season, the farms, country stores, and fruit stands hold a pear festival celebrating the arrival of pear season. Luckily they created this great map called “The Fruit Loop” that gives you a list of all the farms and fruit stands you can visit outside of Hood River. You can try and visit every single one, which is actually really hard to do since there are so many, or you can pick and choose the ones you would like to visit. Each one you drive to will definitely be selling pears, among other delicious fruits and vegetables. However, there was one fruit loop stop that sold this: Pear Dumplings. Yes, you read that correctly, pear dumplings! They can be found at the Apple Valley Country Store. Most delicious pear dumpling ever! 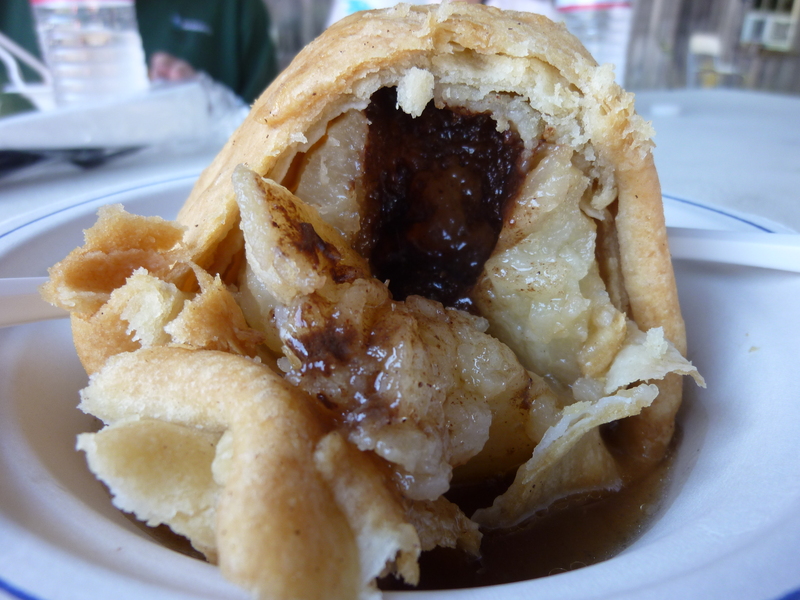 Inside of a pear dumpling….pure genius. If you drive all the way to Hood River during pear season and you just try this, you’ll be satisfied. Just imagine the warm butter flavor of the dumpling dough with that hint of cinnamon. 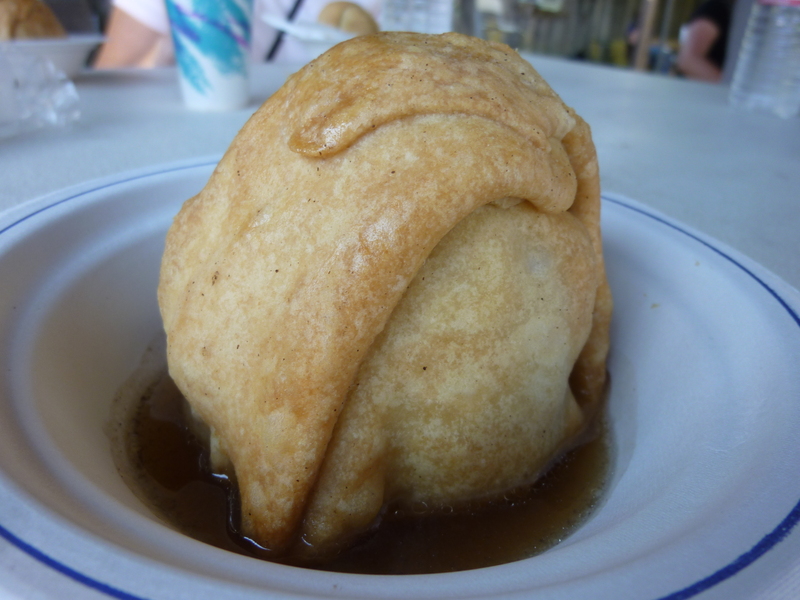 Then you stick your fork into the middle to realize that it’s an entire pear that has been cored, filled with a butter cinnamon/sugar mix and wrapped in a decadent dumpling. I mean do I need to explain any more of it or are you already hooked? This fruit stand/country store doesn’t just sell amazing pears, but jams, pies, really good pear coleslaw, and much more. It’s a definitely the place to visit along the fruit loop. Who knew pears could be so much fun!? 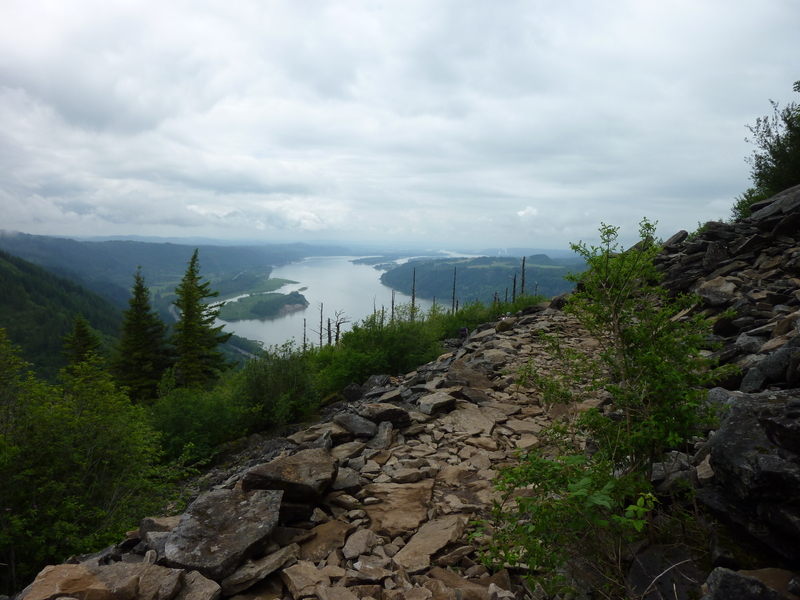 Top of Spencer’s Butte in Eugene, Oregon. 1. Mix butter, oil, and sugar together until light and fluffy. Beat in eggs. Add milk, vanilla, and salt. 2. In a separate bowl, sift together flour, baking soda, and cocoa powder. Stir into creamed mixture. 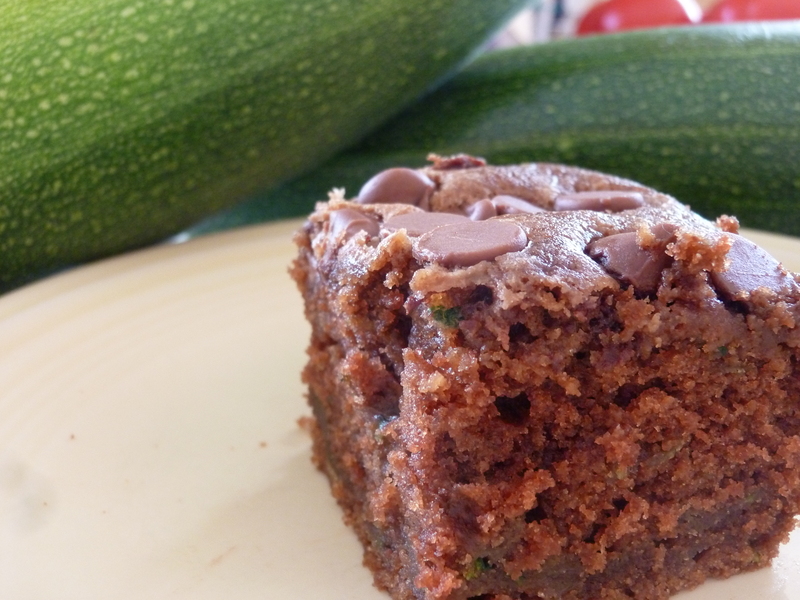 Gently stir in zucchini. 3. Grease and flour 9×13 inch baking pan. Pour in batter. 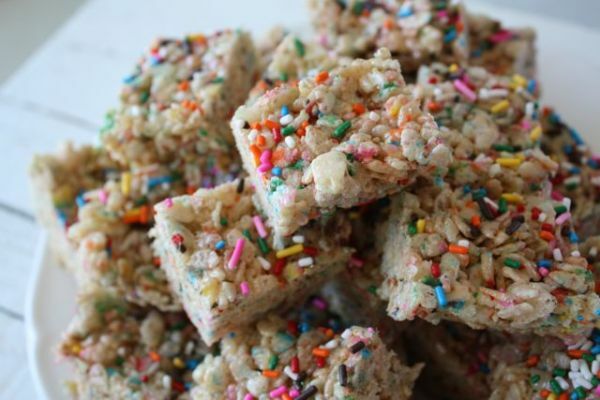 Sprinkle top with chocolate chips. 4. Bake at 325 degrees F for 45 minutes. Quick! Name your favorite junk food!! 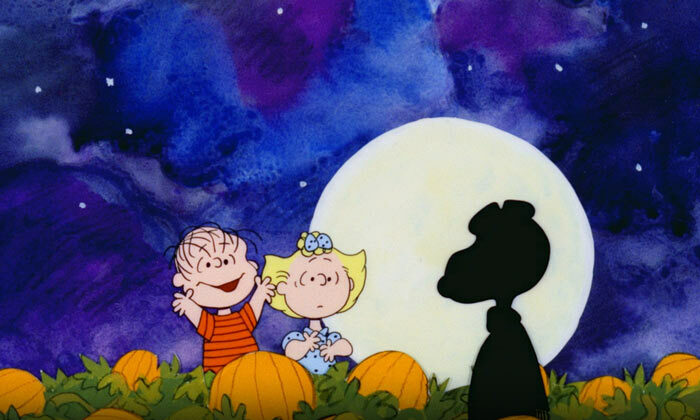 Uh, uh, uh….PEANUT BUTTER CUPS!!! That was what happened to me a few days ago. It was my friend’s birthday and she wanted us to make homemade junk food. Now it is a known fact among those of you who know me, that my group of friends and I laugh and eat delicious food…a lot. Homemade or out on the town 🙂 We have this wonderful weekly gathering called Friday Night Dinners, where there is a food theme and we all bring something related to it. There is even a blog that describes each event (you should check it out, like now, here). Note the colorful display of both dark and milk chocolate peanut butter cups. Perfection right there. 1. Line a mini-muffin tin with paper liners; set aside. Line baking sheet with parchment paper; set aside. 2. In a medium saucepan, combine the peanut butter, butter, and brown sugar over medium heat. Heat until completely melted and starting to bubble a little, stirring constantly. Remove from heat. Add the powder sugar 1/4 cup at a time, stirring until completely incorporated into peanut butter mixture after each addition. Set aside and let cool. 4. 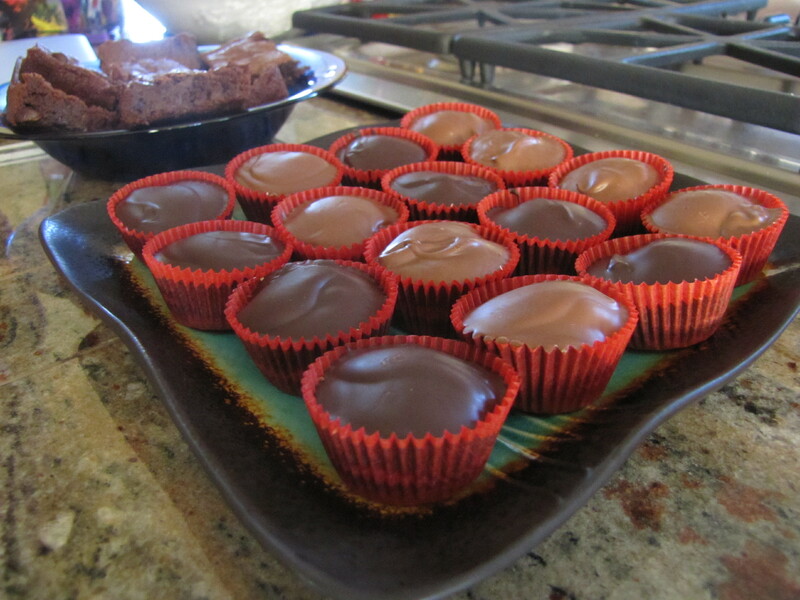 Using a small spoon, spoon a couple of teaspoons of the melted chocolate in the bottom of each mini muffin tin. 5. Use a heaping teaspoon to scoop out the peanut butter mixture, roll it into a ball, and then flatten it slightly into a disk. 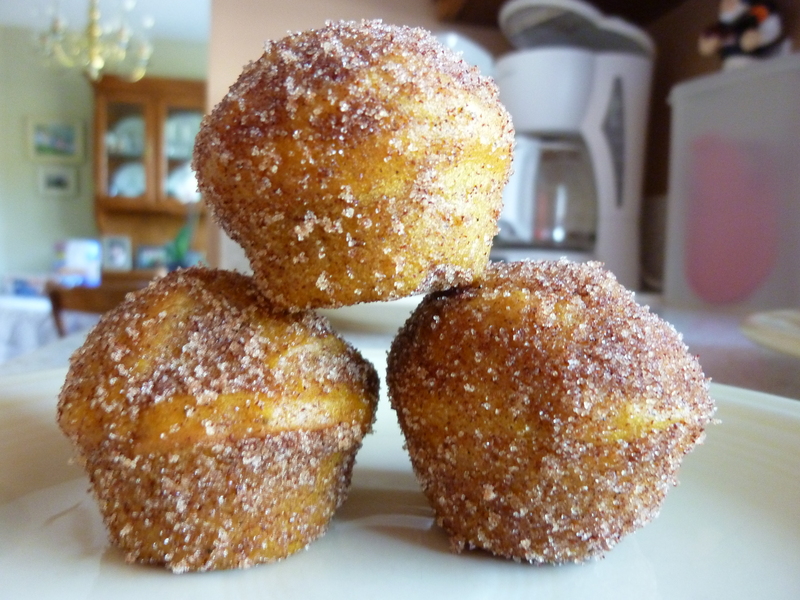 (But make sure they’ll fit inside each mini-muffin cup!) Place on the parchment paper lined baking sheet(s). Once finished with all, refrigerate both the muffin tins and the peanut butter patties for about 30 minutes. Enjoy and happy no baking! 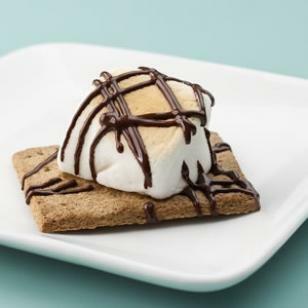 Whoever invented S’mores…I give props to your marketing director because it is a well-known fact amongst Americans that camping is not really camping without s’mores. Also clever name you genius inventor of words. That was even before everyone started shortening words to be “cool.” Like redic, k, or my favorite “sup” with a little upward nod action, classic bro move right there. Anyway, you’re probably wondering, “Why is she talking about s’more’s and why does it say “indoor” s’mores? Everyone knows that you need a fire outside to make s’mores!” FALSE, my friends. 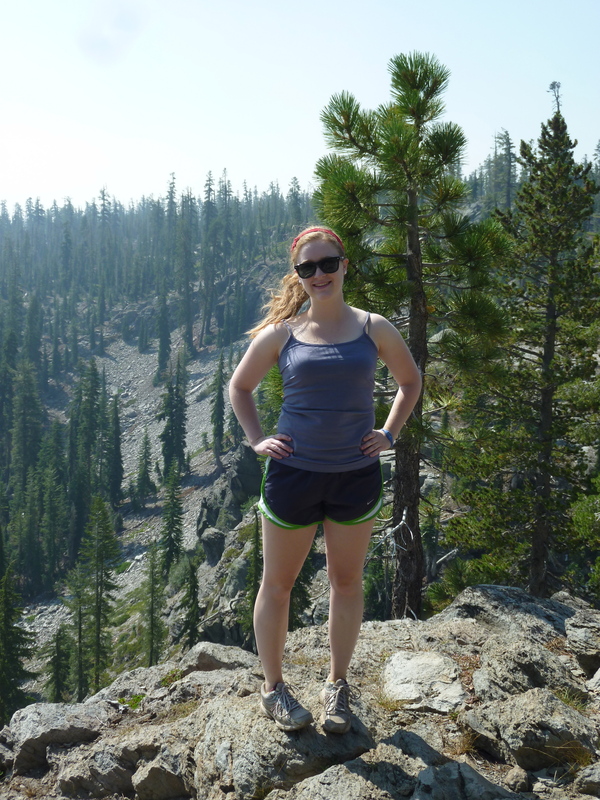 First of all, I haven’t posted on the blog for a little while because I was camping with my family. Therefore, s’mores had to become involved. I mean you can’t go wrong with hiking most of the day and coming back to a nice campfire eating some grubb and roasting those marshmallows over the fire for a perfect complementary taste of marshmallow, chocolate, and graham cracker. However, there is a slight dilemma when you consider this scenario. One, you probably haven’t been hiking all day. Secondly, unless you have one of those outdoor fire pits you’re missing out on the most important part of s’mores! But there is hope, because I have a fantastic recipe to eliminate that problem. And they are called indoor s’mores! 1. Position oven rack in the upper third of the rack, preheat boiler. 2. Place graham cracker halves on a baking sheet, top each with one marshmallow. 3. Broil with the oven door ajar and careful watching (!) 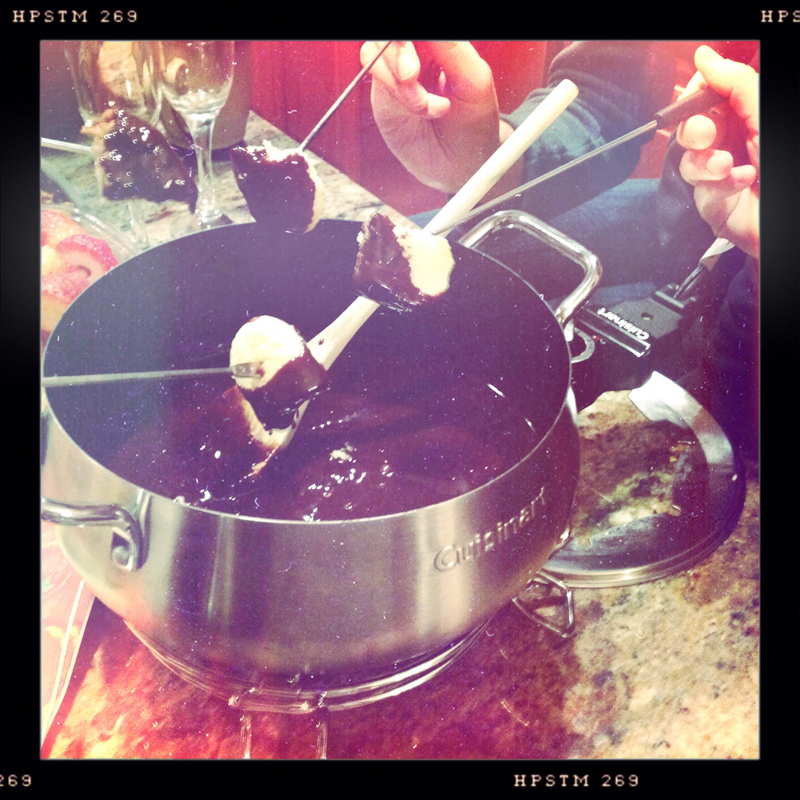 until the marshmallows are golden brown, 45-75 seconds. 4. Remove from the oven and drizzle each S’more with a little melted chocolate. So I hope you enjoyed this substitute recipe for s’mores and good luck on finding your s’more bliss! And no I do not like One Direction…this happened to be a fluke of pure genius. Who knows what song it will be next week! All I can say is I can put a song on replay for hours on end and not get tired of it. The same could be said for my Mom’s classic chocolate chip cookies 🙂 I will always love these cookies and will be making them forever. You just can’t go wrong with these babies! 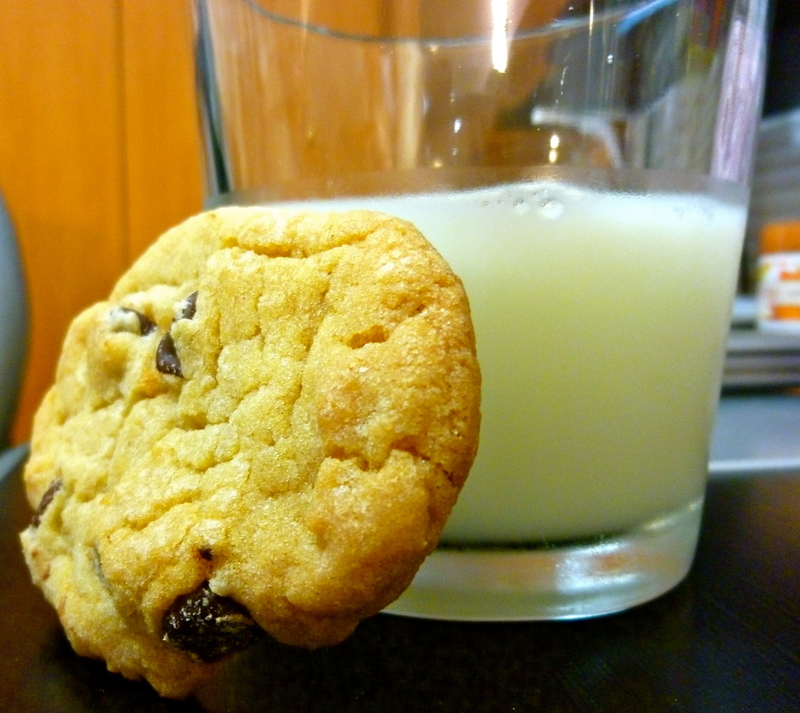 I’m going to be totally honest here though, they do happen to be the fabulous Toll House chocolate chip cookie recipe, but my Mom and I have perfected the art of making these cookies and I’ll share some of those tips with this recipe. 1 cup shortening-some people use butter instead of shortening, yeah doesn’t fly for us. 1. Mix together the shortening, sugar, and brown sugar until well combined. 2. Add in the vanilla extract and eggs. Mix well. 3. Add in the flour, baking soda, and salt. Mix well and then add in the chocolate chips. 5. These are “drop cookies” so there is no need to roll out the dough to form them into balls. Basically take a small spoon (teaspoon size, typically called dessert spoons) and scoop out some dough and then just plot it right onto the cookie sheet. They will come out in circles, don’t you worry! 4. Bake the cookies for 8-10 minutes. I always start with 8 minutes because it’s easier to add time than over bake them. But the real key here is to ever so slightly under bake them. Just so that the center is a little big lighter of a color than the rest of the cookie. Take them out of the oven and leave them on the baking sheet for about 30 seconds (they will still bake while on the cookie sheet) and then transfer them to a wire rack to cool. Hopefully your cookies will be nice and soft, especially in the middle! 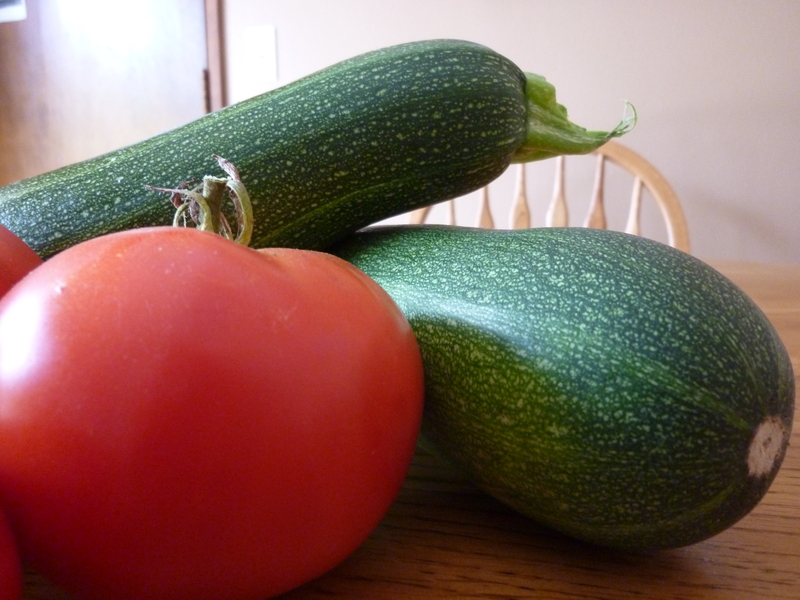 Top 10: Favorite Things about Food Blogs…YUM! 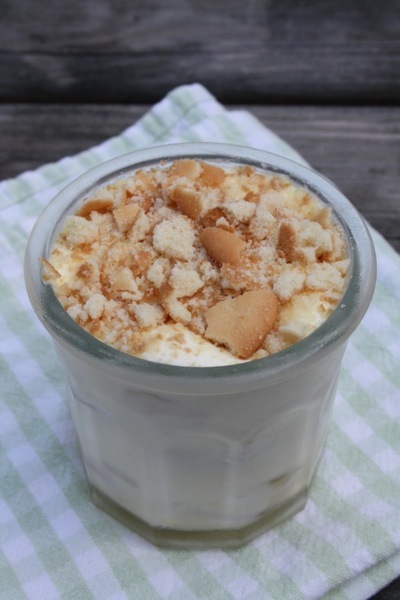 So I just found a new favorite food blog. It is called Blue-Eyed Bakers and you can check them out here. Yeah they are my new food blog heroes. So in honor of the amazingness that is food blogs, I have come up with a Top 10 list of reasons why they are the best thing since…well ever! 2. They truly have a talent at taking pictures that make you think that you need nothing else in the world except you and this picture of a piece of cinnamon bread. You may not even like bread, but damn it I’m going to love it based off this picture. 3. Some people are just so creative! You would never have thought to put bacon on top of a peanut butter and chocolate bar. Yes, there is such a recipe. 4. Cute, creative names. “Eat, Live, Run” “Blue-Eyed Bakers” “The Frugal Foodie” “Six Sisters Stuff” “My Baking Addiction” “Crepes of Wrath” You get the picture. Also, all those are true blogs, fyi. 6. The delusion that you think what you make will turn out exactly the same as in their pictures. I am at fault with this way too many times than I would like to admit. 8. The variety! 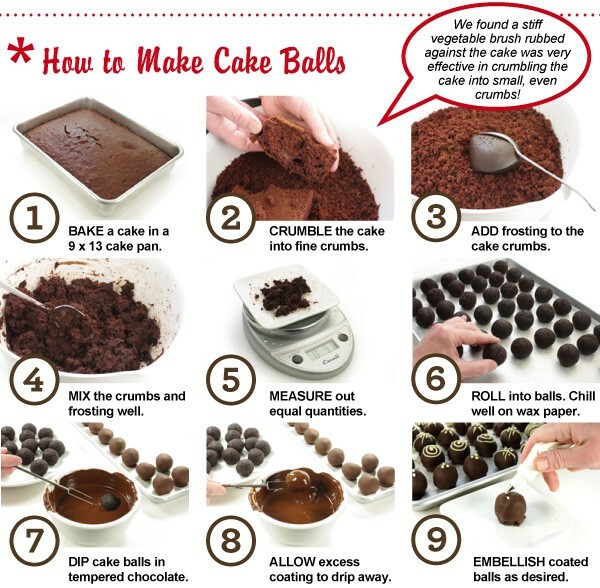 How can so many people make the same thing, such as cake balls, but each one looks different and unique! Well done my friends, well done. 9. They are really good at making food look cute. 10. 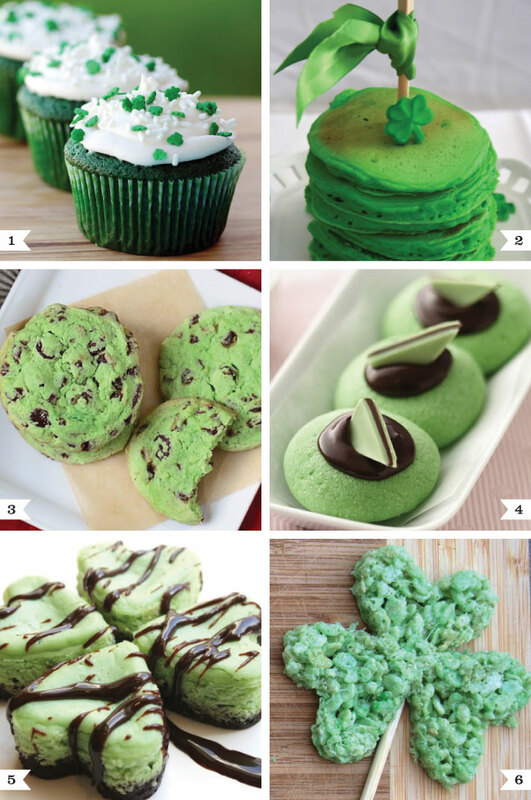 They make the Food and Drink category of Pinterest ENDLESS and so, so, so delicious! I could literally spend hours looking at all the glorious dishes. Pinterest is the ultimate procrastination tool…and not in a good way. Yup, your eyes don’t deceive you. That is a blueberry muffin my friends. This is one of my creations over the past couple of months that I didn’t have time to put up until now. But no matter how long ago I made these bad boys, I can still remember just how good they tasted! 1. 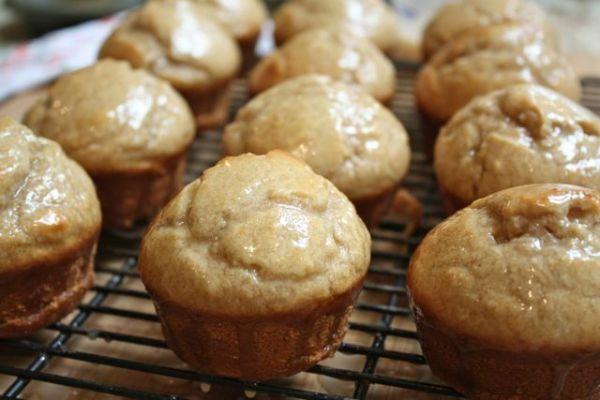 Preheat oven to 400 degrees F. Grease muffins cups or line with muffin liners. 2. Combine flour, sugar, salt, and baking powder into a large bowl. Put the oil in a 1 cup container, add egg and milk and mix together. Once mixed pour liquid mixture into large bowl with the dry ingredients. Mix well and then fold in the blueberries. 3. For the crumb topping: mix together the sugar, flour, cubed butter, and ground cinnamon with a fork this will make it crumb looking. 4. 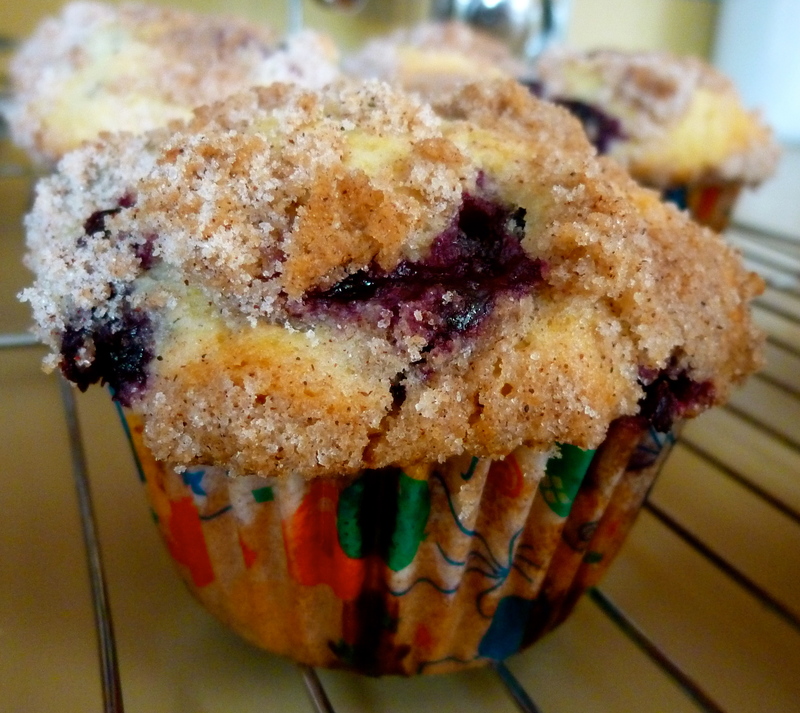 Fill the muffin cups to the top (if you want bigger muffins) or 3/4 full for smaller ones. 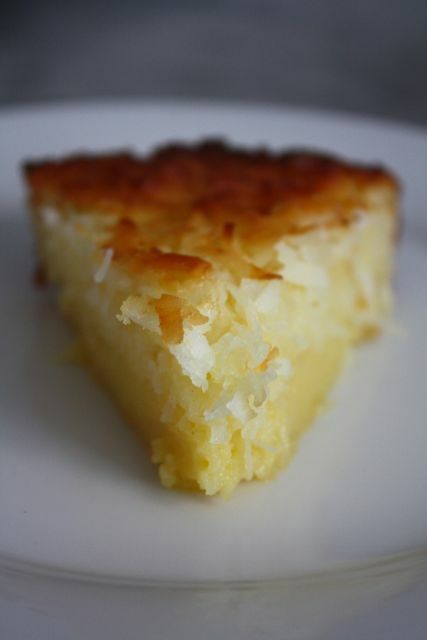 Sprinkle the crumb topping on top and put in the oven for 20-25 minutes. Hope they turn out just as delicious as mine! 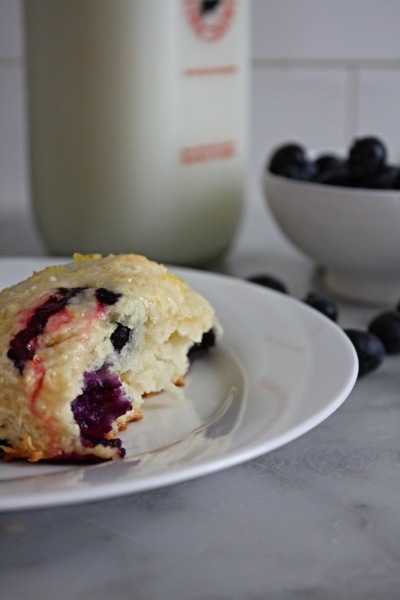 For more blueberry tasty treats, check out my blueberry lemon scones, believe they won’t disappoint. Snickerdoodles: best cookie name thus far. Yes, I am a chocoholic.